I love all-in-one diapers because of their simplicity. So far I have AI1s from GroVia, BumGenius, and Bumkins, but I was looking for something new to add to the stash. I’m slightly hesitant where Thirsties are concerned, since my son grew out of their size one fitted diapers by the time he was three months old (about 14 lbs. ), although the sizing says 6-18 lbs. or 0-9 months. But I thought it’s only fair to give Thirsties another try, so I purchased a Thirsties Duo AI1 in size two from my go-to store for cloth diapers: Diaper Junction. Since they are the closest to disposables, AI1 diapers are great for babysitters, church nurseries, daycares, and reluctant cloth diaper users (hubby likes them). They go on in one piece and come off in one piece. The Thirsties Duo AI1 is very affordable for an AI1. This diaper retails for $15.75 from Diaper Junction. For the price, it really does have a lot to offer! Thirsties Duo AI1 comes in sizes one and two. 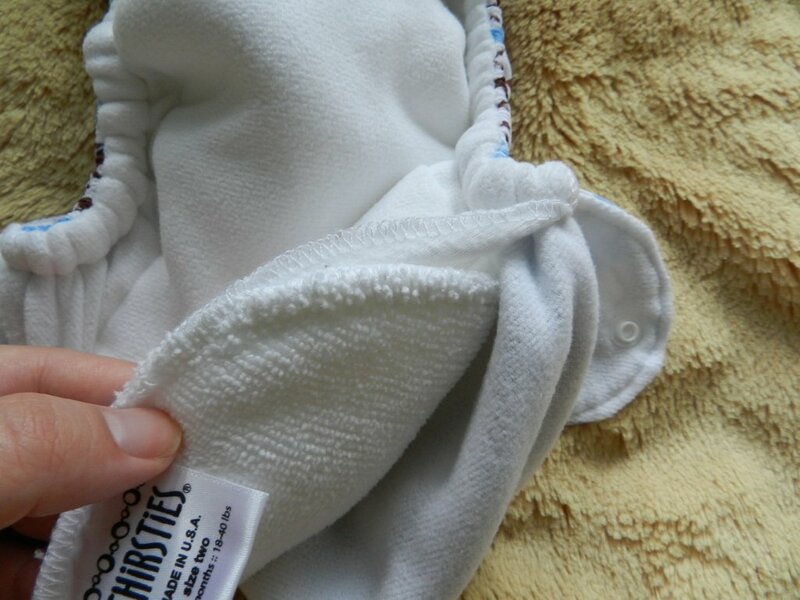 The row of three snaps on each diaper allows them to be adjusted for smaller or larger babies. Thirsties states their size one fits 6-18 lbs. or 0-9 months. Size two fits approximately 18-40 lbs. or 9-36 months. There’s a row of eight snaps across the waist. Although there aren’t any hip snaps, my son had no issues with “wing” drooping. 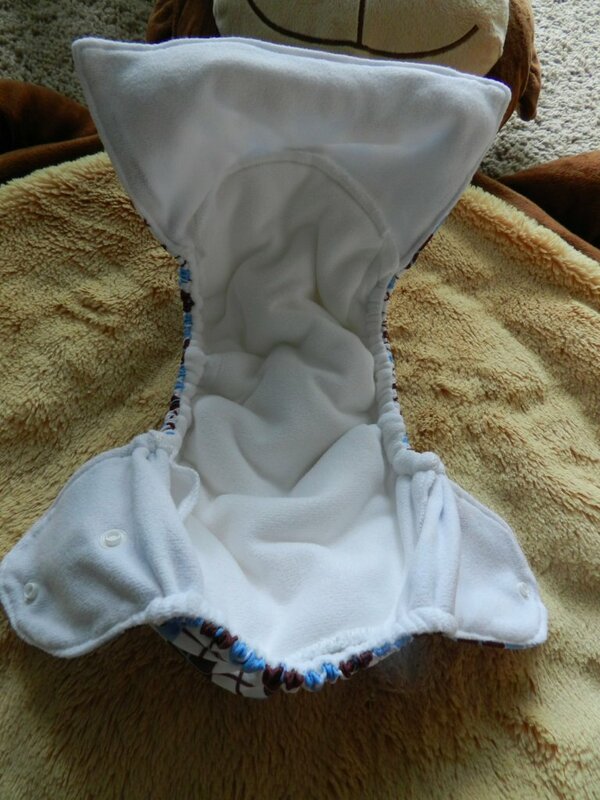 The inside center of this diaper is quite thick due to the built-in three-layer microfiber terry soaker, reported to hold seven times its weight in liquid. I read a complaint on another site where the reviewer thought the built-in soaker was too short for a boy, and needed to come up higher in the front. However, Mr. Stinky Pants didn’t have any issues with peeing out the top of the diaper, and when the diaper is actually on him, it looks to me like the soaker comes up high enough. Perhaps this will change as he gets older? 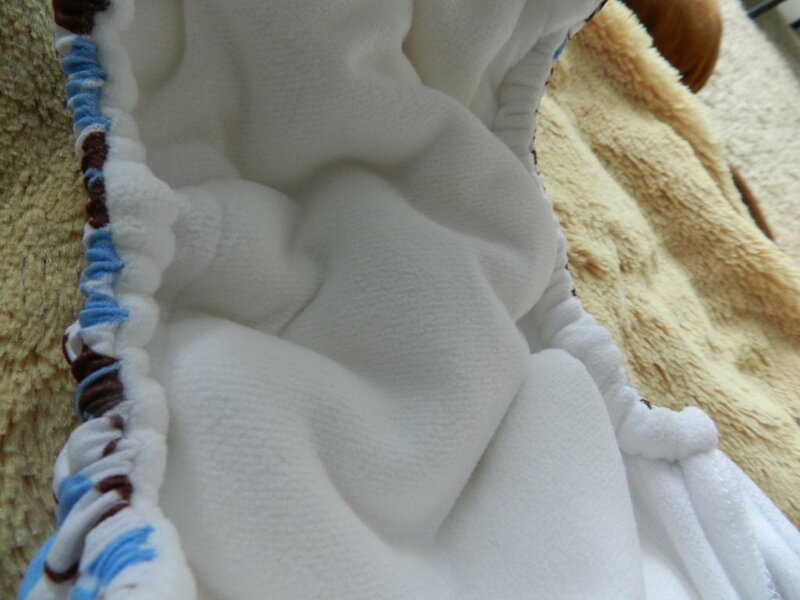 The soaker is topped with stay-dry fleece, so nothing irritating touches baby’s skin. The signature tunnel design allows for faster drying and better washing. 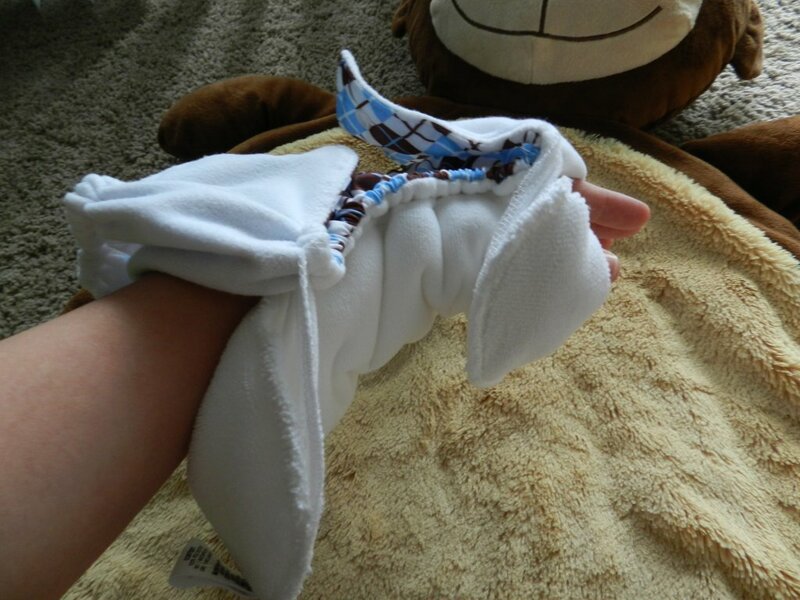 When I dry the diaper, I usually turn it inside out to speed up drying. The tunnel area is pretty narrow, but you potentially could even slide an insert in there for additional absorbency. As I mentioned earlier, my son grew out of his size one Thirsties Fab Fitted diaper and Duo Wrap by the time he was three months. This does lead me to speculate whether or not the size two will actually fit him to potty training. Here he is in his size two Thirsties Duo AI1. He’s just shy of 4 months in this photo, and about 16 pounds. I’ve got it on the smallest setting, and there does seem to be plenty of room to grow in the waist and rise. It’s a little bulky under the crotch, but he’ll grow into that. 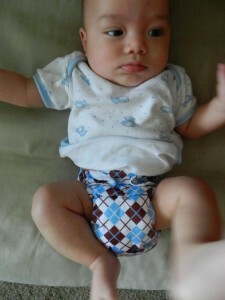 These diapers come in both solids and prints. My son is in the “Scottish Storm” print with snaps. You can purchase them in Aplix hook and loop closures as well. What’s also great about these diapers is that they’re made in the U.S.A.! I would buy this diaper again. It fits well. It’s very absorbent. It’s holding up well after several washes, and it’s affordable for an AI1. You get a lot of bang for your buck with this diaper. Note: This post contains affiliate links. I was not compensated for this review. I purchased the item shown above. These opinions are my own and may differ from yours. Great review! I have been told by many reviewers that I have to ad thirsties diapers to my stash. I didnt use cloth with my first LO but plan to with #2. I love all the cute prints in the Thirsties! Well, this AI1 is definitely worth adding to your stash, I think. My son has a nice fit in it, and the tunnel design really does speed up the drying process! 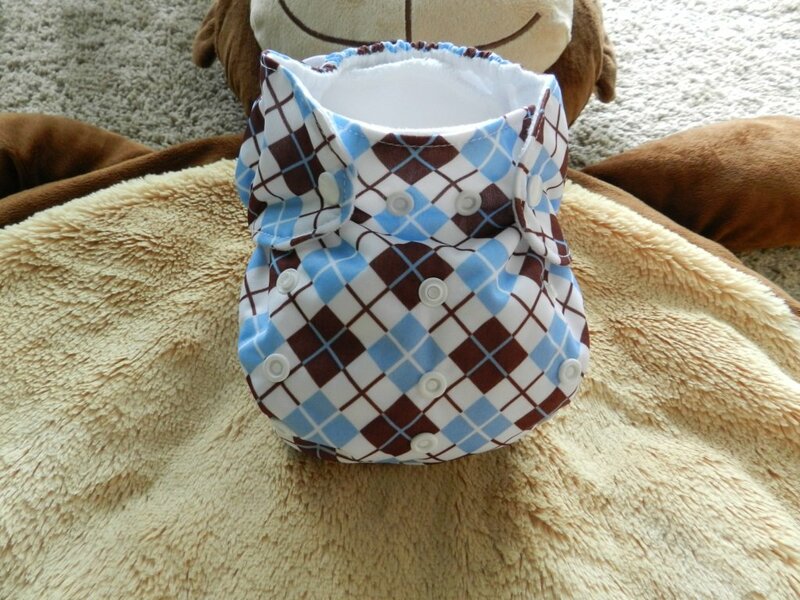 Good luck with cloth diapering your next little one!